An assault suspect was shot and killed Monday when at least one deputy opened fire on the man during a confrontation near the Del Mar Fairgrounds. 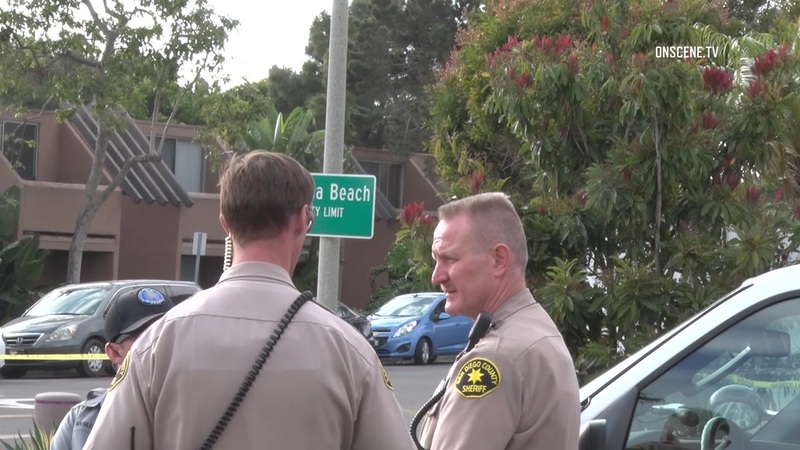 The shooting took place in the 3200 block of Camino Del Mar in Del Mar about 4:30 p.m., about four blocks away from the restaurant where the suspect allegedly stabbed another man in the face. Arriving deputies initially responded to Rubio’s Restaurant at 437 S. Highway 101 in Solana Beach at 3:54 p.m. and found the stabbing victim along with witnesses who saw the man stabbed by the suspect, according to sheriff’s Lt. Greg Rylaarsdam. Shortly after, deputies located a man matching the suspect description given by witnesses about four blocks south of the restaurant. “When they contacted the suspect who was still armed with the knife, a confrontation followed which culminated in a deputy-involved shooting,” Rylaarsdam said. Medics took the suspect to a hospital where he was pronounced dead, Rylaarsdam said. He has not yet been identified. Medics also took the victim of the stabbing to the hospital where he is being treated. The victim is expected to survive his injuries, Rylaarsdam said. Authorities closed traffic lanes around the site of the shooting and suspended train runs through the area to allow investigators to document evidence.